MUVE began as an eco-art initiative by local artist Xavier Cortada in 2006. 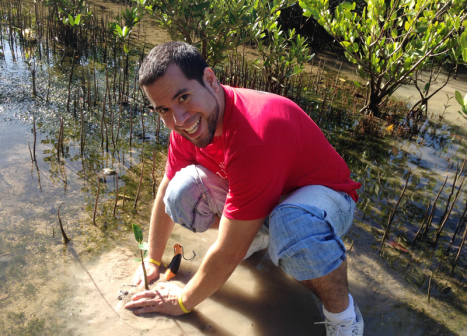 Dubbed “The Reclamation Project,” the initiative asked local volunteers to collect red mangrove propagules and exhibit them in plastic cups filled with tap water on the walls and windows of retail stores and schools. Sustained on what Mr. Cortada calls “life support,” these installations juxtaposed elements of coastal habitats that once thrived in Miami decades ago into a place of man-made commerce and concrete. To complete the cycle of engagement, volunteers then planted these seedlings on public lands overseen by Miami-Dade County. 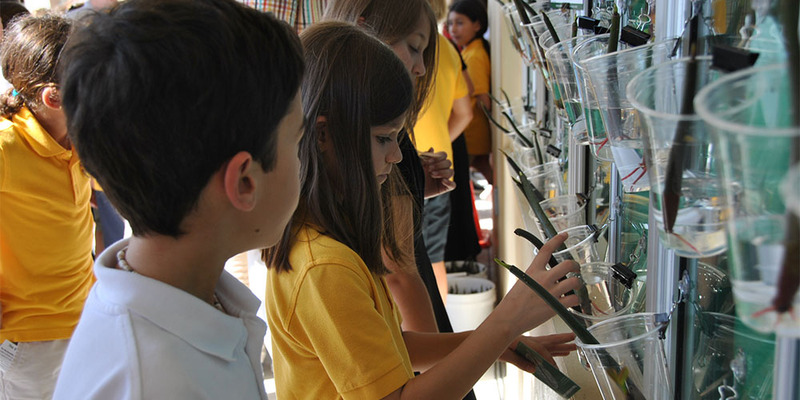 In 2007, Frost Science took the project to scale, exhibiting 1,110 seedlings on a wall at its Wildlife Center in Coconut Grove. This installation and the scores of volunteers engaged in eco-art gave birth to MUVE. In 2007, MUVE volunteers began restoring other types of habitats aside from mangroves, including freshwater wetlands, dune habitat and coastal hardwood hammocks. They began with the freshwater source of the Oleta River, Miami-Dade County’s last free flowing river. Other restoration efforts followed, at Oleta River State Park, Virginia Key and R. Hardy Matheson Preserve, funded by federal, corporate and private foundation grants. 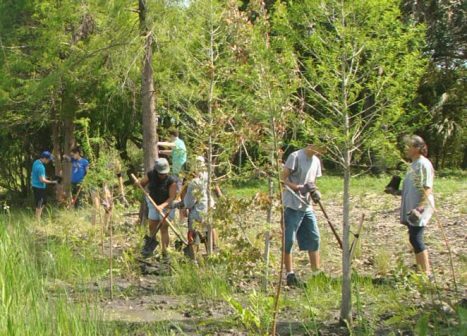 Today, over 8,000 volunteers have restored more than 25 acres of coastal habitats. Hardy Matheson Preserve is an 813-acre public land in southeast Miami-Dade County, just south of Matheson Hammock Park on Biscayne Bay. Oleta River State Park is now the largest urban state park in Florida and contains the only remaining natural river in Miami- Dade County.